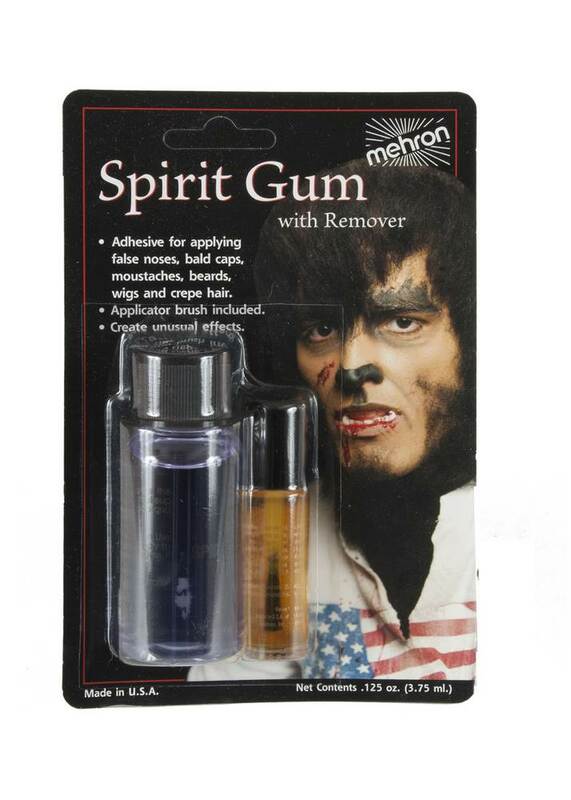 Mehron has formulated this Spirit Gum Remover to be gentler on your skin than other gum removers. Spirit Gum Remover by Mehron is a specially developed solvent to gently remove makeup adhesives such as Spirit Gum Liquid Adhesive from skin. Mehron's Spirit Gum Remover is used throughout the Performance Industry because Performers recognize the safe effective formula of Mehron's Spirit Gum Remover will not damage the skin. Set contains .125 fl. oz. of spirit gum and 1 fl. oz. of remover.